Platinum Marcom Award, Fall 2018 magazine. Platinum Hermes Creative Award for the Spring 2018 magazine. Silver Communicator Award for the Winter 2017 magazine. Gold MarCom Creative Award for the Summer 2017 magazine. Gold MarCom Creative Award for NAA 2016-2017 Honor Rolls: A Place in Time. APEX Award of Excellence for the Summer 2016 magazine. Gold Hermes Creative Award for the Summer 2016 magazine. Platinum MarCom Creative Award for the Summer 2016 magazine. APEX Award of Excellence for the Summer 2015 magazine. Gold Hermes Creative Award for the Summer 2015 magazine. Silver Communicator Award for the Summer 2015 magazine. Silver AAF Tuscaloosa American Advertising Award for the Spring 2015 magazine. Gold MarCom Creative Award for the Summer 2015 magazine. 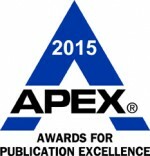 APEX Award of Excellence for the Winter 2014 magazine. Communicator Award of Distinction for the Summer 2014 magazine. Gold Hermes Creative Award for the Fall 2014 magazine. Educational Advertising Award for Compendium: 2013-2014 Honor Rolls. Educational Advertising Award for the Summer 2014 magazine. Platinum MarCom Creative Award for the Winter 2013 magazine. Gold MarCom Creative Award for Compendium: 2013-2014 Honor Rolls. APEX Award of Excellence for the Summer 2013 magazine in the Green Magazines category, honoring issues that cover the environment, conservation and energy efficiency. Communicator Award of Distinction for the Winter 2013 magazine. Gold Hermes Creative Award for the Winter 2013 magazine. Educational Advertising Award from the Higher Education Marketing Report for the Fall 2013 magazine. American Advertising Award for Time and Again: 2012-2013 Honor Rolls. Platinum MarCom Creative Award for the Summer 2013 magazine. MarCom Awards Honorable mention for Time and Again: 2012-2013 Honor Rolls. 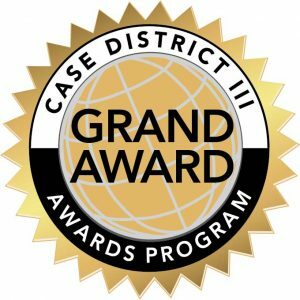 APEX Grand Award for the Summer 2012 magazine. Communicator Award of Excellence for the Summer 2012 magazine. Platinum Hermes Creative Award for the Fall 2012 magazine. National School Public Relations Association, 2013 Publications and Electronic Media Awards, Honorable Mention for Fall 2012 magazine. Platinum MarCom Creative Award for the Fall 2011 magazine. APEX Award of Excellence for the Winter 2011 magazine. Communicator Award of Excellence for the Summer 2011 magazine. Platinum Hermes Creative Award for the Summer 2011 magazine. Platinum MarCom Creative Award for By the Book, the 2010-2011 Annual Report. Gold MarCom Creative Award for the Summer 2011 magazine. APEX Award of Excellence for the Summer 2010 magazine. Communicator Award of Distinction for the Summer 2010 magazine. Platinum Hermes Creative Award for the Summer 2010 magazine. Magnum Opus Awards Honorable Mention for the Winter 2010 magazine. Gold MarCom Creative Award for the Winter 2009 magazine. APEX Award of Excellence for the Winter 2009 magazine. Communicator Award of Excellence for the Summer 2009 magazine. Platinum Hermes Creative Award for the Summer 2009 magazine. Bronze Print Excellence Award from the Printing Industries Association for the Alabama Alumni Magazine. MarCom Awards Honorable Mention for In Full View, the 2009-2010 Annual Report. Platinum MarCom Creative Award for the Winter 2008 Magazine. Silver Millennium Award for the Fall 2008 magazine. Gold Hermes Creative Award for the Fall 2008 magazine. Silver Print Excellence Award from the Printing Industries Association for the Alabama Alumni Magazine. APEX Award of Excellence for the Spring 2008 magazine. MarCom Awards Honorable Mention for Common Paths, the 2008-2009 Annual Report. Platinum MarCom Creative Award for the Summer 2008 magazine. Gold Millennium Award for the Summer 2007 magazine. Gold Hermes Creative Award for the Spring 2007 magazine. Bronze Magnum Opus Award for the Winter 2007 magazine. APEX Award of Excellence for the Summer 2007 magazine. MarCom Awards Honorable Mention for Crimson Reflections, the 2007-2008 Annual Report. Silver Millennium Award for the Winter 2006 magazine. Gold MarCom Creative Award for Perspectives, the 2006-2007 NAA Annual Report. APEX Award of Excellence for the Winter 2006 magazine. MarCom Awards Honorable Mention for the Spring 2007 magazine. Platinum MarCom Creative Award for the Spring 2006 magazine. Communicator Award of Excellence for the Fall 2005 magazine. APEX Award of Excellence for the Fall 2005 magazine. Gold MarCom Creative Award for the Winter 2004 magazine. Communicator Award of Distinction for the Winter 2004 magazine. APEX Award of Excellence for the Winter 2004 magazine. Communicator Award of Distinction for the Winter 2003 magazine. APEX Award of Excellence for the Winter 2003 magazine.